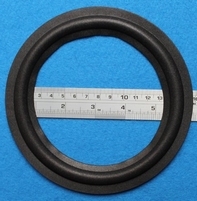 Special foam rings for the 3 inch unit in the Beolab 6601. Glue not included. Special foam rings for the 3 inch unit in the Beolab 6634. Glue not included. 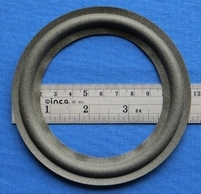 Special foam ring for the 8 inch mid-low unit. 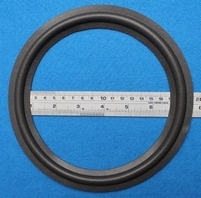 We have a ring for the 10 inch unit as well. 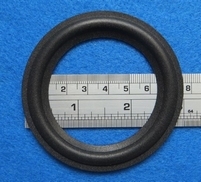 Special foam ring for the 3,5 inch mid. 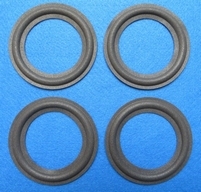 We have a rubber version of this surround as well. 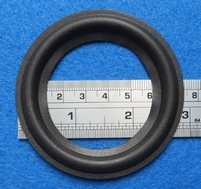 Special foam ring for the 3 inch unit in the Beolab Penta. 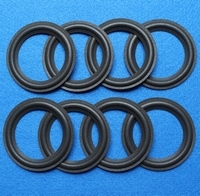 Also available in rubber. Special surround to repair the Beovision 7802 speakerunit. Also available in rubber. 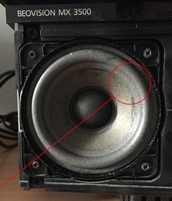 Special surround to repair the Beovision LX2502 speakerunit. Also available in rubber. Special surround to repair the Beovision LX4500 speakerunit. Also available in rubber. 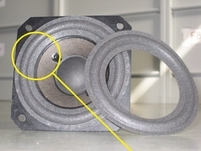 Special surround to repair the Beovision MX2000 speakerunit. Also available in rubber. 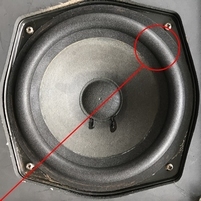 Special surround to repair the Beovision MX5000 speakerunit. Also available in rubber. 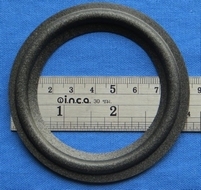 Special foam ring for the 6 inch woofers in the Beovox 1702 speakers. 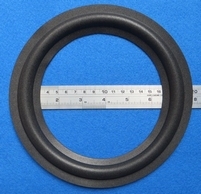 Special foam ring for the 6 inch woofers in the Beovox 2700 speakers. 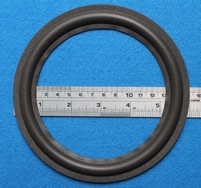 Special foam ring for the 6 inch woofers in the Beovox 2702 speakers. 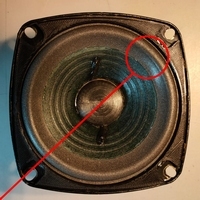 Special surround to repair the Beovox 3000 mid-unit. Special foam ring for the 8 inch woofers in the Beovox 3700 speakers. 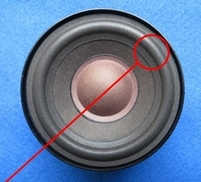 Special durable foam ring for the 7 inch woofers in the Beovox 4700 - great sound after repair.